The sassafras is a small, aromatic tree usually less than a foot in diameter. The sassafras has a crown of short, stout branches and rarely exceeds 40 feet inheight. The sassafras is usually one of the first to appearin abandoned fields in West Virginia. The sassafras is foundin the Laurel Lake area. 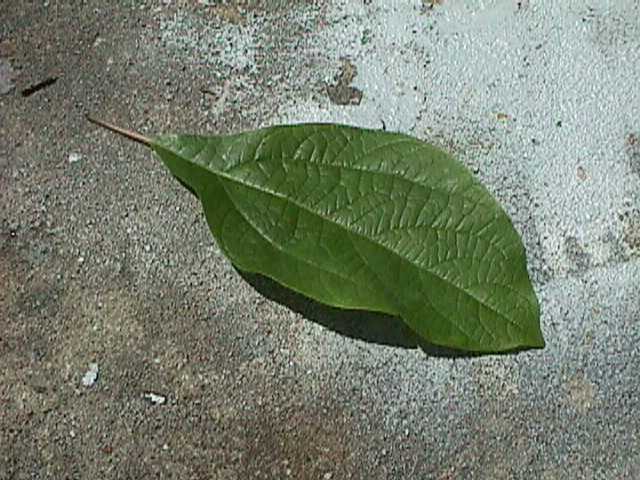 The sassafras has broad leaves. The bark of this treeis red-brown, thick and deeply furrowed. Twigs of the sassafras,however, exhibit a green color. The sassafras prefers dry soil. 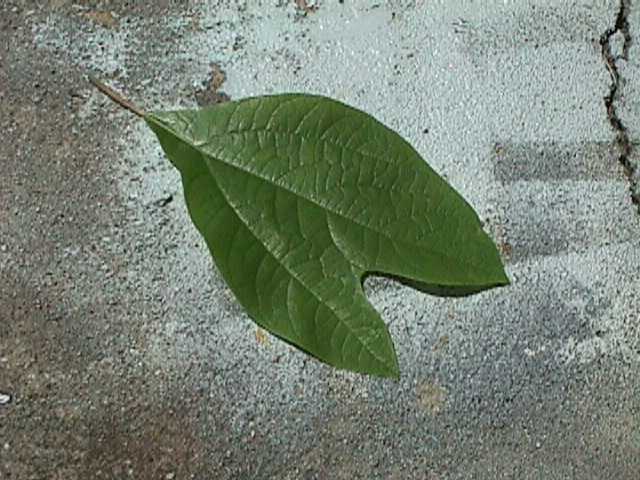 Sassafras leaves differ in shape, are alternate and simple, and are complete. Some of its leaves resemble amitten with a thumb having 2 lobes, some have 3 lobes, andsome are complete. The sassafras has yellow-green clustered flowers. The oblong shaped fruit appears as a black or cold, dark, blue berry. Theberry holds a seed. The wood of the sassafras is light, soft, brittle, and holds well in soil. There is an aromatic oil which is used for making tea, perfume, soap, root beer, soft drinks, or flavoring candles.